Obituary for Mr. Fredrick "Fred" Clyde Bailey | Hinchliff-Pearson-West, Inc.
Mr. Fredrick “Fred” Clyde Bailey 78, of Galesburg, passed away peacefully Friday, January 18, 2019 with his family by his side. Fred was born on July 26, 1940 in Berwick, the son of Clyde and Mildred (Seckman) Bailey. He married Gerry Crisman. He later married Nancy Clutts Kirchgessner on October 9, 1981. She survives. Also surviving are his children, Jeff (and Kathy) Bailey of Richmond, KY, Linda Harkness and Brian Bailey of Galesburg IL and his step children Greg (and Beth) Kirchgessner of Abingdon IL and Gayla (and Dan) Hicks of Galesburg; four grandsons, Joshua (and Ali) Bailey, Michael (and Beth) Bailey, Tyler Derry and Joe Hicks, five granddaughters, Rachel (and Jesse) Mettille, Cara (and Phillip) Wolford, Alyssa Bailey, Lily Hicks and Mary Hicks and 7 great grandchildren. He was preceded in death by his parents, his sister Jodell Simmons and a great nephew. Fred graduated from Avon High School in 1958 and studied telegraphy in Kansas City, MO. Fred worked for Santa Fe railroad and Gates Rubber Company before beginning his career in construction. He first worked for C Iber & Sons of Peoria in 1974 and then retired from Leander Construction in 2003. 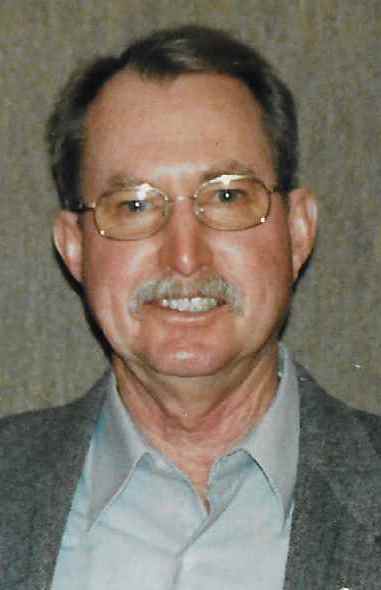 He was a 50 year member of the Galesburg Motorcycle club and served as treasurer for over 25 years. Fred loved to ride his motorcycle with trips to Sturgis and all across the US from California to Niagara Falls. He loved having a cold Pabst Blue Ribbon. He enjoyed working outside around the house; especially in the garden and setting up a Christmas light display for the grandkids. Cremation will be accorded. A time to celebrate Fred's life will be held from 1 p.m. to 4 p.m. Saturday, March 2, 2019 at Jimmy's Pizza, 379 E. Tompkins St. in Galesburg. Hinchliff-Pearson-West Funeral Directors and Cremation Services Abingdon Chapel is assisting the family with arrangements. Memorials may be made to OSF St. Francis Children’s Hospital or Guardian Angels Humane Society in care of Nancy Bailey, 1327 Frank St., Galesburg, IL 61401. Online condolences may be made at www.h-p-w.com.